This is a list of dates that my be tentative. Information will be updated when needed. 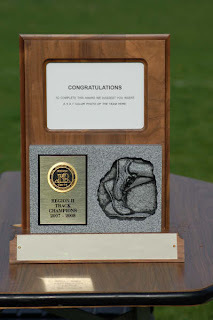 Simplot Games - Feb. Feb. 19th — 21 in Pocatello, Id. Congratulations to our all-state performer Jason Lynch who placed second in an outstanding time of 15:44.7 which is his fastest time on any course. The rest of the team also put in outstanding performances to lead us to a 4th place finish overall. Complete meet results can be found at runnercard. Go to athletic.net to look at our results and to see our entire season. We also got more dyestat pub thanks to Jason and his great race. Jason got a mention on dyestat. That would be a first for the program. Congratulations to our region champ, Jason Lynch. We had some outstanding performances throughout the squad. Our boys finished second to qualify for state. Megan, Whitney, Mikaela, Courtney, Maddie and Brooke all closed the season with personal bests for 5,000 m for the girls. Gerardo, Andrew, Joseph, Ryan, Tyler, Jared, Clint, Dan, Jason, Josh, Matt, Brad and Kevin did the same for the boys. Bryce ran a season best. For comparison with last year results on this course and for a comparison for the season, go to athletic.net. We had a very good day today with the boys placing 4th in the 5A division and 7th overall. We also had several outstanding individual performances by our girls teams and the JV boys. We had eight runners record personal bests for 5,000 meters today. Go to runnercard for complete results. You can see the team results as well as times from previous meets at athletic.net. Congratulations to our boys team for winning our first invitational in many years. We had some good individual performances with a decent showing by the team. The complete results including team scores can be found at runnercard.com. Congratulations to our five rookies; Gerardo, Edgar, Makayla, Courtney and Megan on surviving their first high school cross-country race. I hope to get the photos from the yearbook photographers to post. If you have any additional photos of the meet, please email them to me so I can add to the slideshow. Here are our results which can also be viewed at our athletic.net site. Just in case you need directions, here is a link. Once you turn on to Settlement Canyon Road, keep going until you find the campground with dozens of teenagers and a few school buses milling around. We still don't have results for the meet as of 8pm Sunday evening. As soon as we have the results, they will be posted. The Track Party will be Thursday the 29th at Quarry Bend. If you haven't turned in your uniform yet, bring it to the party. Make sure it is clearly labeled. The parent meeting for cross-country will be May 28th at 6:30pm. The location is yet to be determined, signs will be posted near the front doors at Hillcrest. Congratulations to our State Champ Allysa Hansen. Danny, Brady, Justin and Talyn also medaled. The results for the entire season can be found at athletic.net. Check out your results to see how much you improved through the season. I want to thank everyone for a great season. The cross-country meeting will be May 21st in Coach Olsen's classroom. Contact Coach Olsen for additional details. My favorite photo of the season. Congratulations to all of our state qualifiers and the Region II boys champions. Complete results are on runnercard. Go to athletic.net to look at all your times for the season to date. PS There may be consequence for the ice bath. We are in good shape after the first day with two surprise state entrants, Mike Leonard in the shot and Justin Judd in the long jump. For our results go to athletic.net. For complete results including team scores, go to runnercard.com. The meet will be held at Alta High School, bus leaves at just after 12 noon from Hillcrest. It will be stopping by the two middle schools. We have two more athletes with state qualifying marks with Talyn and Brady both qualifying in a second event. Brady ran 11.37 in the 100 and Talyn threw 109 in the discus. Alyssa improved on her state best 300 Hurdles time with a 44.68 second place finish. Go to athletic.net for our results or here for complete results. We have incorrect dates for the Region Championship meet. The meet will be on the Wednesday the 7th and Thursday the 8th. The results can be found at athletic.net. Kudos to our kids who toughed out the weather. You can see complete results at altahawks.ufans.com. I know some athletes have been left off, if you know your time let me know so I can get you added in. Talyn Patterson was added to our list of state qualifiers with a nearly two foot PR of 35' 3 in the shot put. Alyssa Hansen also had a very impressive performance with a 45.0 time in the 300 hurdles. We had other impressive performances as well. You can find our results at athletic.net. You can see complete results here. We had a very good day with the boys taking 2nd and the girls 8th. Alyssa Hansen became our 6th athlete to qualify for state with her 46.97 300 Hurdles time. Brady Johnson won both the 110 Hurdles and the 100 m Dash. We had several other outstanding performances as well. For overall results go to runnercard. You can also go to Athletic.net for a smaller list that includes fewer athletes. Because of the format that the results were sent to me, I have our results at Athletic.net. Hopefully Saturday brings better weather. Our boys had another outstanding performance with Brady, Kyle and Danny qualifying for state. Brady won the 110 hurdles and Justin won the 300 hurdles. The boys finished third in the team totals with 51 points. We also had some outstanding performances from our distance crew with six personal records as well as some season bests. Congrats to Sean for joining the sub5 club. 1. Directions: If coming from the south on I-15: Take the Antelope Island exit. Go west approximately 2.5 miles to 2000 west. Turn right (north). Go one mile. Syracuse is on the right side of the road. The entry gates will be on the south side of the stadium. If coming from the north on I-15: Take the Clearfield 650 north exit. Go right (west), then left (south) on Main Street. Turn right (west) on 300 north. Proceed west about 2 miles to 2000 west. Turn left (south). Syracuse High is 1-mile south on the left side of the raod.